2018: Longlisted Margaret River 2019 Short Story Competition. Judging underway. 2017: Two-week Fellowship @ Katharine Susannah Prichard Writers’ Centre in Western Australia to advance my long form commercial fiction manuscript. 2016: New Friends, published SALA 2016 Short Story collection, selected by Dr Laurie Steed; edited by Miriam Zolin. 2016: Excerpt from work-in-progress shortlisted in Katharine Susannah Prichard Writer’s Centre 3-day Writer’s Retreat Award. 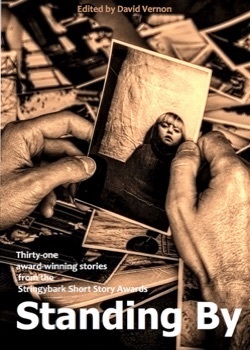 2016: Two stories: Wild Currents and No Place for a Kid, shortlisted in the open section of the Alan Marshall Short Story Award. 2013: Paradise, winner of the Alan Marshall competition, local category (Nillumbik Shire), Judge: Arnold Zable. 2012: The Glove, an extract from a work-in-progress, Highly Commended by the Fellowship of Australian Writers, Angelo Natoli Short Story Awards. 2010: The Glove, an extract from a larger work in progress, Commended, Grace Marion Wilson Short Story Competition. 2007: Full Circle, winner of the Darebin/Leader Newspaper Competition. Published in Around the Block, anthology. Just read Paradise on the Nillumbik website as I was submitting a story for the first time this year. It’s a beautiful piece. I wanted to keep reading, it moved along at a nice pace, very evocative and I hope Milly makes it out of there! Thanks for writing it.